There’s always another creature to "sea" with this set of painted wood nesting dolls! 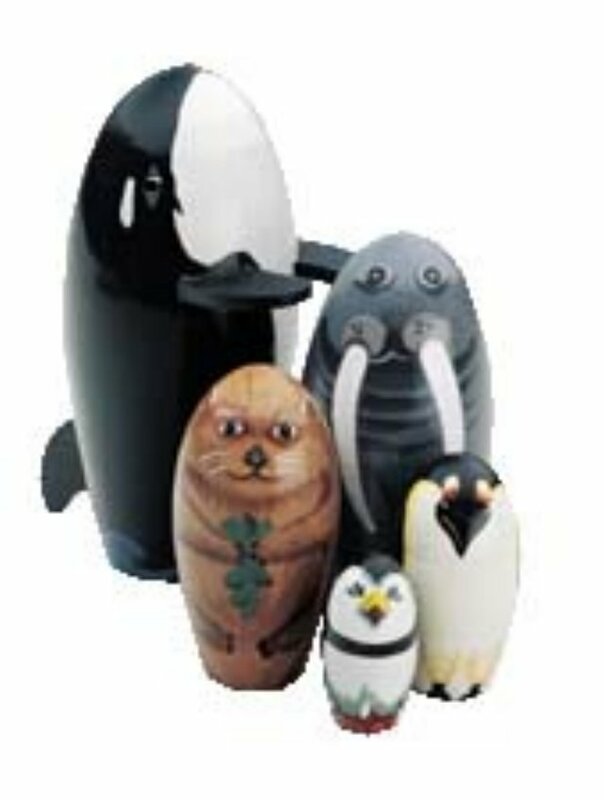 The big killer whale hides a walrus, an otter, a penguin and a little puffin all the way inside. Whale measures 5 1/2" tall.